The Atlas-like side creaseline is awful; the rear bumper treatment around the exhausts isn't much better. The back just looks meh. Overall, 5/10. With North America getting the LWB Tiguan, Plus the Atlas and I presume Tourag, I can't see the market for this here. The Touareg is NOT coming to North America. VW has been clear on that. You can't see the market for a SWB Atlas? Google Ford Edge. 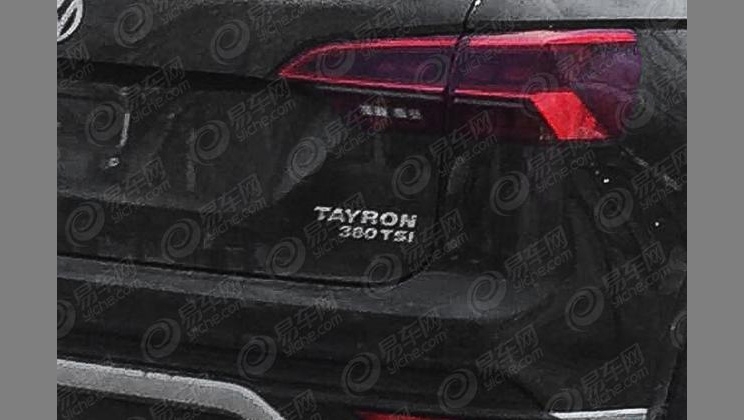 Seems that the production name is "Volkswagen Tayron"
For VW its one model too many to add the SWB Atlas. Edge/Santa Fe Sport type of vehicle is going to become more popular as the baby boomers kick the kids out but still want the comfort of their old family SUV. Plenty of rumor competition to. We'll keep it in here. So how many suvs does or will vw china have on offer eventually? Last edited by swizzle; 04-06-2018 at 02:15 AM. and whatever the VW branded Seat Ateca will be. And prolly a VW Branded Seat Arona, as well.